The Green Room is our more informal meeting space, comfy chairs and a kitchen area making it the perfect place for a book club to meet or a coffee morning to be held. It’s a large, flexible, relaxed space, on the ground floor of Foundation House, fully accessible and with toilets close by. It is used by all Foundation House community members during the day but can be booked for sole use at in the evening at weekends. Find out more? Check the Calendar below to see the space is available on the date/s you are looking for*, read our Terms & Conditions and email a Booking Form to bookings@foundationhouse.co.uk for a quote. 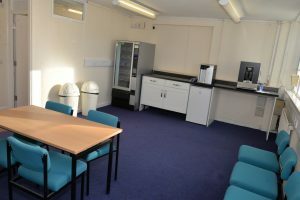 * The Green Room is only available for evening bookings as is used by all Foundation House visitors during the day.